Fishing continues to be steady; with fish being caught in Vancouver Harbour and Howe Sound this past week. As usual, the fish are moving around a lot, searching for bait, here one day gone the next. If you are in the right place at the right time, there has been some decent action. Eddie has been out a lot and putting some nice fish in the boat for his guests. Crabbing has also been decent, although perhaps a touch slower than most years. The usual flashers and spoon combinations have been producing well. Flashers with some green and glow on it, like Green Onion Glow and Salty Dawg, are always good choices. A variety of spoons in the 3.5 range have been producing well with a 5 to 6 foot leaders. The Pesca Forage and RSG, both in 3.5, in colours that have some glow and green on them have been working well. So have the Kingfisher in 3.5 in Irish Cream, Cookies and Cream, and Homeland Security. Green and Chartreuse splatter back hootchies have also been working well, likely because they have a narrow profile that mimics an anchovy well. Try a 32 to 40 inch leader. 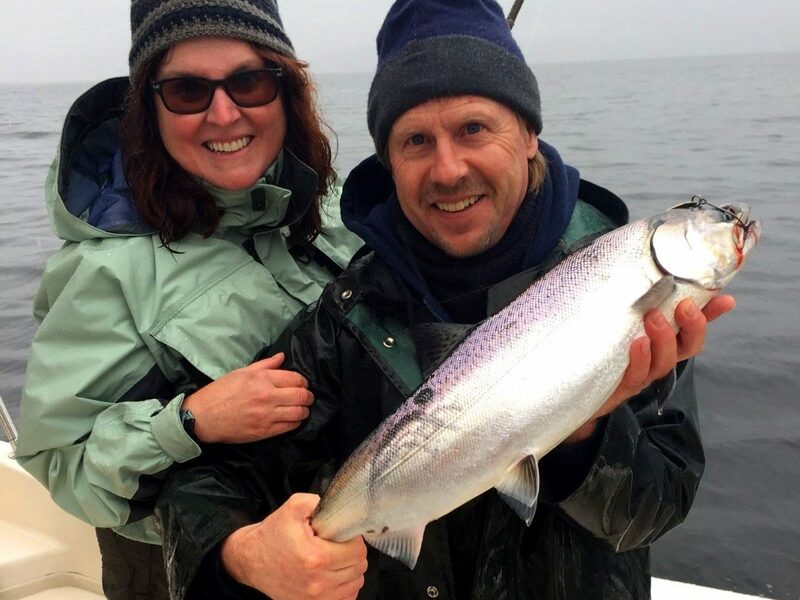 Fishing for these feeder chinook should remain steady for the rest of March and into April. It will be interesting to see how April unfolds this year. Will we get the traditional fishery off the Hump or will the fish head up Howe Sound to work the balls of anchovies like they did last April? Time will tell and we will keep you posted as things develop.